Professor Helge Janicke is the director of De Montfort University's Cyber Technology Institute. He is the head of the School of Computer Science and Informatics. He was awarded a PhD in Computer Science in 2007 and worked on cyber security with organisations such as Airbus Group, QinetiQ, Ministry of Defence and General Dynamics UK, among others. Professor Janicke covers formal verification techniques and their application to cyber security, SCADA and industrial control system security, as well as aspects of cyber warfare. He established DMU's Airbus Group Centre of Excellence in SCADA cyber security and forensics research in 2013. 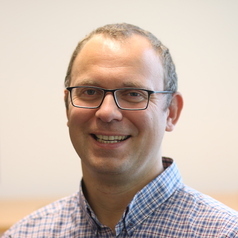 Professor Janicke is a general chair of the international symposium on SCADA and industrial control systems cyber security research (ICS-CSR).